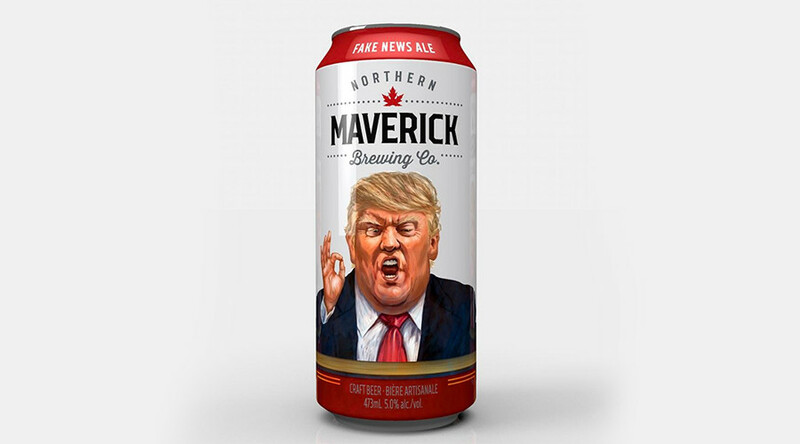 A Toronto craft brewery has created a timely beer for its launch this summer – ‘Fake News Ale’ – inspired by none other than President Donald Trump. The beer, which comes complete with an image of Trump on the label, was created to “stand in solidarity with our American neighbors in their time of need for beer,” Northern Maverick brewery said. “With tongue firmly in cheek, the beer was found to pair well with small hands, striking comb overs, huge egos and all things Mexican,” the brewery’s press release said. The ale is a wily tribute to Trump, who ignited the fake news phenomenon during his first press conference, when he shouted out “You are fake news” whilst pointing at a CNN reporter. Fake News Ale is a charitable beer, with five percent of all sales going towards helping Americans “reverse a questionable policy.” People are encouraged to vote for the cause they think is most important on the brewery’s website over the coming weeks. “Clearly no American president has endorsed this beer,” the brewery said.